Jaipur that is also known by the name of “the pink city” has a lot to offer to its visitors. 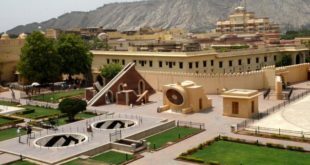 There are a lot of tourist attractions in Jaipur including palaces, forts and cultural heritage but if you are in the city or you are planning to go to Jaipur then you must not miss the opportunity of giving a treat to the shopaholic in you. 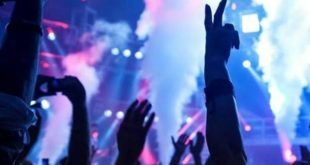 This place is a paradise for the shoppers as there are many shopping markets where you can shop to your heart’s content. From jewelry o handicraft you will get everything to sooth your soul. 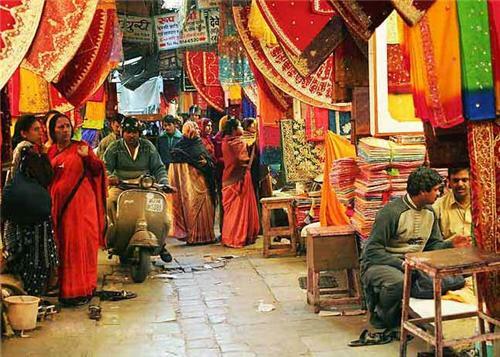 So, here is a list of the ten best markets in Jaipur that you can go to and shop your heart out. Jaipur is known for the best gems and the most intricate jewelry that can be found in India. The tradition of high class jewelry is probably due to the proximity of the jewelers with the royal families. The fabulous designs, precious gemstones and delicacy of the jewelry will just leave you in amazement. 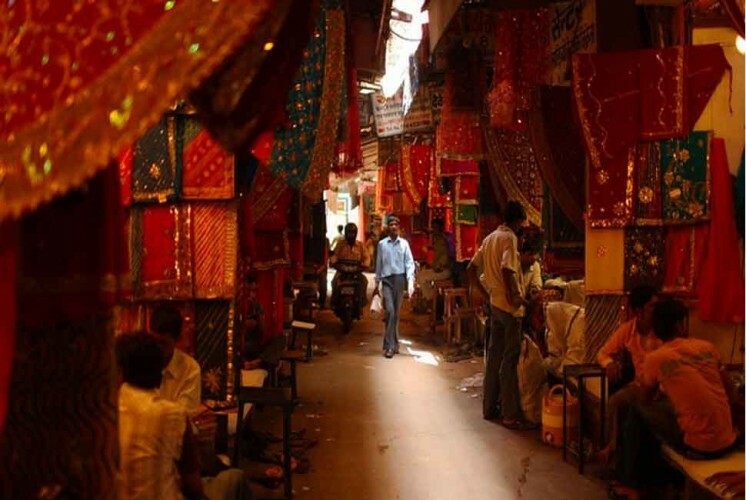 Johri Bazaar is undoubtedly the best market in Jaipur. The market is open on all days from 11 in the morning till 10 at night. This market is just 3 km from the Railway Station and it would take 15 minutes to reach there by car. Mirza Ismail Road is one of the most popular markets in Jaipur for the works of pottery. This market offers the most beautiful pots with intricate decorations on them you could shop not only for mud pots but also for the metal and wooden souvenirs for your home. This market is open on all days of the week and you can visit the market from 11 in the morning. The market is just 2.5 km from the railway station and it will take you just 10 minutes by car to reach. Lac naturally brings up the image of Rajasthan and the best place in Jaipur to shop for the lac bangles is none other than Tripolia Bazaar. You could buy fabulous fabric from here. 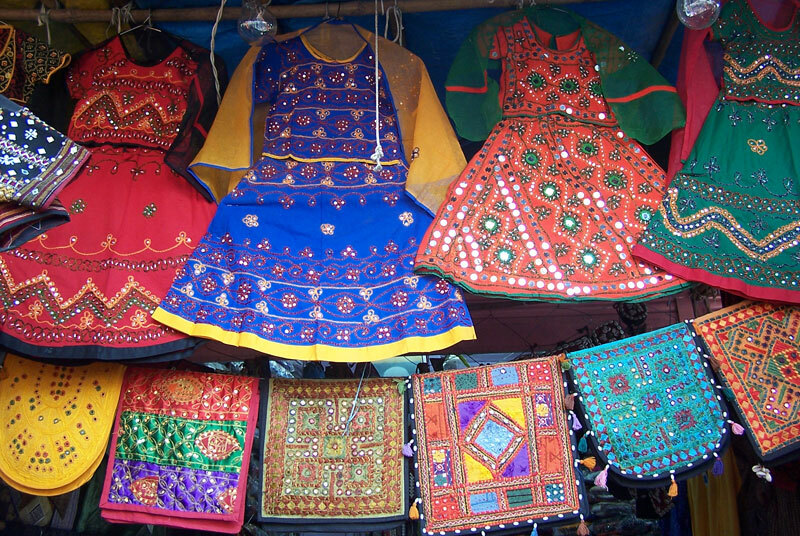 The tie and dye style fabric along with rich embroidery is the specialty of this market. You may also like the carpets and brass ware sold here. This is one of the best markets in Jaipur. This market remains open for all days of the week from 11 am to 7 pm. Tripolia bazaar lies in Kanwar Nagar. This market is just 4 km from Jaipur Railway Station and it takes 20 minutes to cover the distance via SC Road. Bapu bazaar is the best street market in Jaipur. This is a market that offers almost everything from smallest of items to the biggest. You must visit this market if you are fond of bargaining. The prices of the items here are not high and you even get to see the pink buildings of Jaipur here. This market is known for good quality textiles. 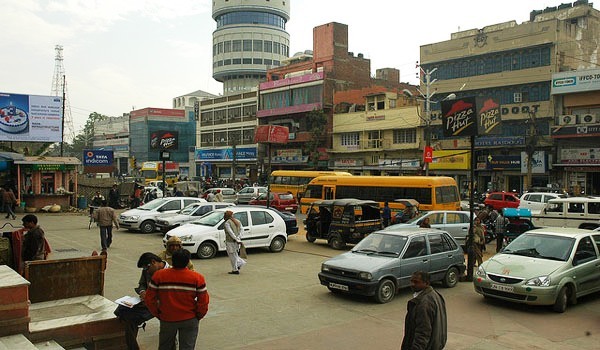 This market is near Golcha Talkies and is 4 km from Jaipur junction Railway station. It takes 20 minutes to reach the market from railway station. The people who want immerse themselves in the sea of books have an ideal place to be in Jaipur and that is Chaura Rasta. This market is known for all kinds of books. 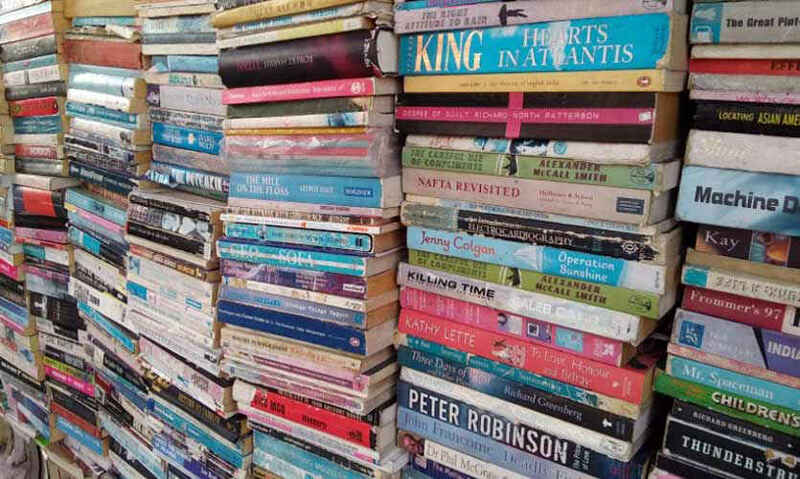 You can get old, new and second hand books in this market at reasonable prices easily. After you have bought the books of your choice you can watch a movie at Golcha Theater that is just nearby. This the best market in Jaipur for Books. You can reach Chaura Rasta Road from station via station road in 22 minutes. The distance of this place from the railway station is just 4.5 km. 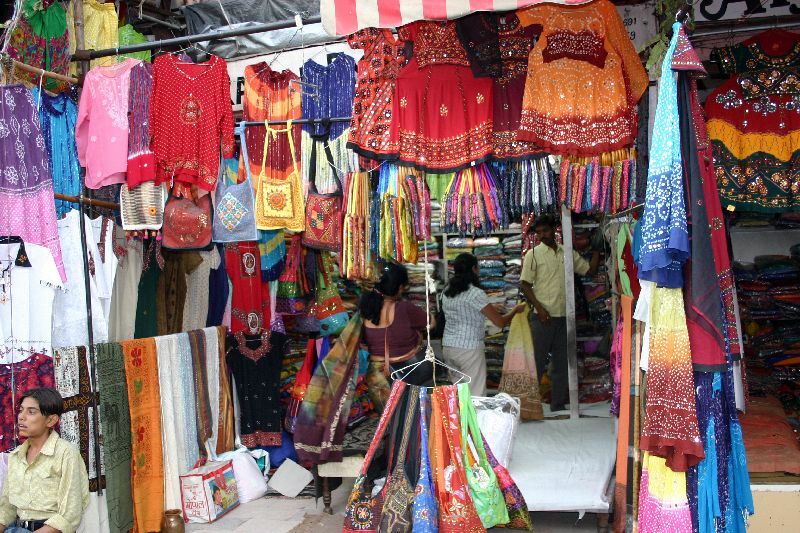 This is the market that you can visit for buying traditional handicrafts, carved marble items and handloom textiles. The Khazanewalon ka rasta is famous for shoes that are intricately decorative. You can also buy beautiful handicraft items, wooden sculptures as well as stone sculptures. You can also invest in carpets, turbans and much more. 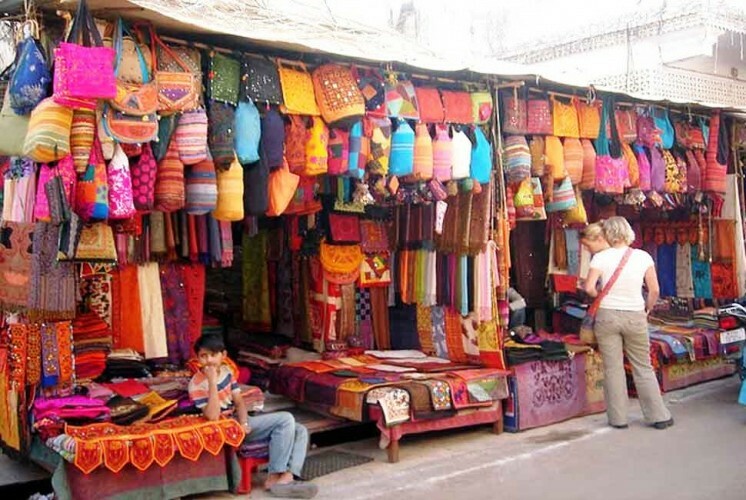 Chandpole Bazaar is one of the best handicraft markets in Jaipur. Those of you who are fans of textiles of Rajasthan, you must visit Kishanpole Market because here you will get the best textiles at very reasonable prices. The market is also a good place to buy other things such as souvenirs of various types like wooden or stone sculpted items because this place is home of the many skilled artists. This market is open on all days from 11 in the morning. This market is just 4 km from the railway station and it takes not more than twenty minutes to reach there by car. Like any other market in Jaipur you will find almost all kinds of things here in Kishanpole but the thing that is famous in this market is the joothis or the mojaries or the shoes in Rajasthani style. 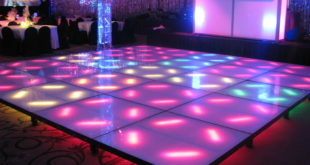 The more tempting thing than finding the very alluring joothis is that you can bargain a lot here. For Rajasthani shoes, this is a must visit market in Jaipur. This market opens every morning 11 am on all days of the week. This market is around 5km from the Railway Station and it takes around twenty five minutes to reach by car. If you are looking for something that is exclusively Rajasthani or for that matter Jaipuri then you must come to this market. Sireh Deori Bazaar is located near Hawa Mahal and is the perfect place to shop for authentic Rajasthani souvenir for your friends and relatives. You should visit this place for the best kind of camel leather goods in Jaipur. This market is open on all day from 11 am. The market is 5 km from the railway station and it takes 22 minutes to reach by car. This market is also near Hawa Mahal. This market is a square crossing and also one of the most crowded markets in Jaipur. 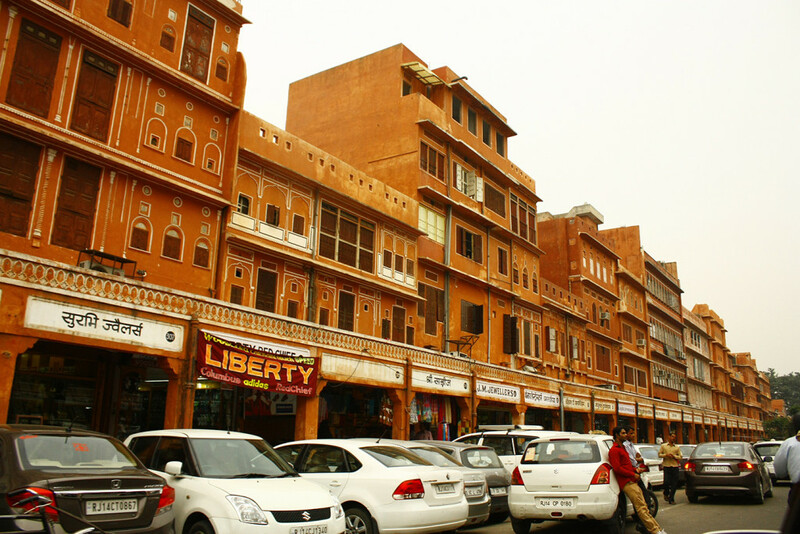 The tourists are the visitors of the shops in this market due its close proximity to the world famous Hawa Mahal. Buy all kinds of Rajasthani items including lac bangles here. 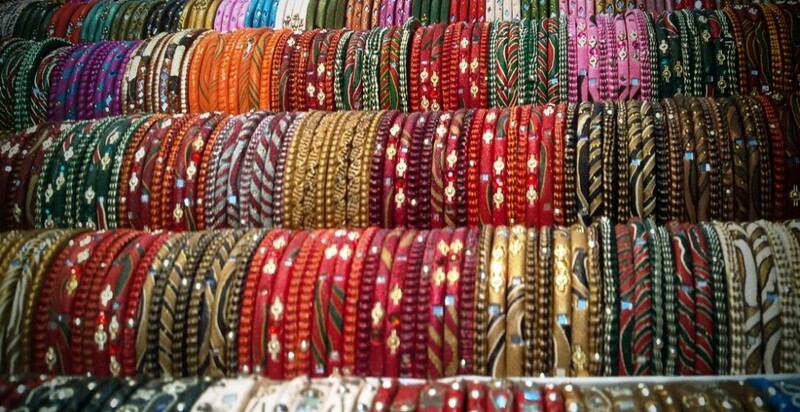 This is undoubtedly the best bangle market in Jaipur. This market is just 5 km from the railway station and it would take you 20 minutes or so to reach by car. 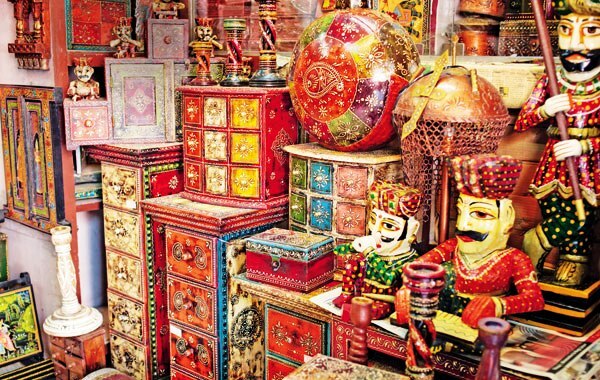 This is the complete list of 10 best shopping markets in Jaipur. Happy Shopping!